On September 7, 2013 Japan’s Prime Minister Shinzo Abe told the International Olympic Committee (IOC): "Some may have concerns about Fukushima. Let me assure you, the situation is under control. It has never done and will never do any damage to Tokyo." After hearing him, the IOC awarded the 2020 Olympic bid to Tokyo. 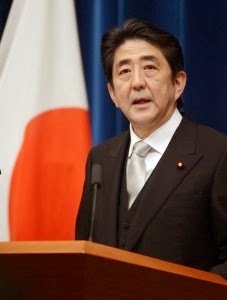 But on October 6, 2013, the Associated Press (AP) reported that Mr. Abe, speaking in English, told an international science conference hosted by the city and Kyoto Prefecture: "Our country needs your knowledge and expertise in coping with the aftermath of the triple meltdown triggered by the March 2011 earthquake and tsunami. We are wide open to receive the most advanced knowledge from overseas to contain the problem." AP noted that Mr. Abe requested more foreign assistance in cleaning up the Fukushima No. 1 power plant where work "has been plagued by the radioactive water crisis." Rupert Wingfield-Hayes, the BBC’s correspondent in Japan, reported the "devastating" conclusions of Professor Kiyoshi Kurokawa who chaired the Japanese parliamentary inquiry into the Fukushima disaster. "It was, he told me: ‘Man-made, and made in Japan’." Tatsujiro Suzuki, the deputy head of Japan’s Atomic Energy Commission, had also been damning, wrote Wingfield-Hayes: "There were studies which showed a one-in-1,000-year probability of the Fukushima coast being hit by a 10m tsunami," he said. "Unfortunately, those studies were dismissed. The nuclear industry didn’t think it would happen, so they didn’t prepare for it." "For me, this is the most revealing and shocking part of the Fukushima story," added Wingfield-Hayes. "There was no plan for how to deal with such a large and complex disaster. How was this allowed to happen?" Wrote Wingfield-Hayes: "Put crudely, the ‘poachers’ and the ‘gamekeepers’ were far too close. Many senior bureaucrats from Japan’s Nuclear Industry Safety Agency would take lucrative jobs in the nuclear industry after leaving government. The result was a nuclear industry imbued with a culture of arrogance, secrecy and complacency. Lessons learned after Chernobyl and Three-Mile Island in the US were not implemented here. When disaster struck, Japan was woefully ill-prepared. "An investigation by Japan’s NHK broadcaster last year found that simple equipment, things like mobile generators and battery packs that could have helped prevent the meltdowns, were sitting at a depot just 25 miles from the Fukushima plant. After the tsunami knocked out the plant’s electrical system there was still time to bring in the back-up equipment. Army helicopters were on standby. But there was no plan. Chaos ensued. "A senior company official in charge of logistics was asked by the NHK team why he had not dispatched the equipment. "We had a very long list of things they needed. We had no way to prioritize which should go first," he said. "And so the back-up equipment stayed in the depot, and the reactor cores melted down." Concluded Wingfield-Hayes: "Finally let me end by quoting again Tatsujiro Suzuki, the deputy head of Japan’s Atomic Energy Commission. I asked him why, if the nuclear industry knows there is a possibility of a disaster, does it continue to tell the public nuclear power is safe? "We need to be prepared for the worst case. We need to tell the public this is the worst case. But if we tell the worst case, the public says, ‘Don’t build the reactor near here.’ So that was the dilemma. And if you want to continue building nuclear power plants you have to keep telling people the reactors should be safe. But now that myth is gone," said Suzuki. Takashi Hirose, author of Fukushima Meltdown: The World’s First Earthquake-Tsunami Nuclear Meltdown, in an open letter addressed to ‘All young athletes dreaming of coming to Tokyo in 2020’ reminded them that two weeks after Mr. Abe had held out a total and unqualified guarantee to the IOC about Tokyo being damage-free, post-Fukushima, Tokyo’s Governor Naoki Inose told a press conference that what Abe expressed to the IOC was his intention to get the situation under control. "It is not," Inose said, "under control now." * In a residential area park in Tokyo, 230 km from Fukushima, the soil was found to have a radiation level of 92,335 Becquerels per square meter. This is a dangerous level, comparable to what is found around Chernobyl (at the site of a nuclear catastrophe in 1986). One reason for this level of pollution is that between Tokyo and Fukushima there are no mountains high enough to block radioactive clouds. * The water being poured into the reactor (to keep it cool) is now considered the big problem in Japan. Newspapers and TV stations that previously strove to conceal the danger of nuclear power, are now reporting on this danger every day. The issue is that the highly irradiated water is entering and mixing with the ground water, and this leakage can’t be stopped, so it is spilling into the Pacific Ocean. It is a situation impossible to control. * In August, 2013 (the month prior to Abe’s IOC speech) within the site of Fukushima Daiichi Reactor, radiation was measured at 8500 micro Sieverts per hour. That is enough to kill anyone who stayed there for a month. This makes it a very hard place for the workers to get anything done. * Vegetables and fish from around the Tokyo area, even if they are irradiated, are not thrown away . . . which is to say that, in Japan today, as the entire country has been contaminated, we have no choice but to put irradiated garbage on the dinner table. In particular, food distributed by the major food companies, and food served in expensive restaurants, is almost never tested for radiation. 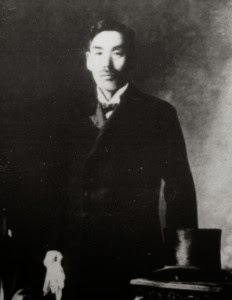 Given Japan’s persistent denials of danger, and that radiation in the Pacific Ocean "has not yet exceeded safety standards", Hiroshe recalled the old joke of the man who jumped off a ten-storey building and, as he passed each floor, was heard whispering: so far, so good." If that’s not living in a fool’s paradise, what is?